All India Institute of Medical Science(AIIMS), New Delhi invites online application form for the post of Nursing Officer Group-B on Direct Recruitment Basis behalf of AIIMS Bhopal, Jodhpur, Patna and Raipur . The interested and eligible candidates can apply at officially website of All India Institute of Medical Science(AIIMS) till 29th October 2018. All India Institute of Medical Science(AIIMS) has announced recruitment for 2000 Nursing Officer posts Group-B in the level 07 in the Pay Matrix. The Online registration for Nursing Officer post recruitment has been open from 8th October 2018 and will be closed on 29th October 2018. 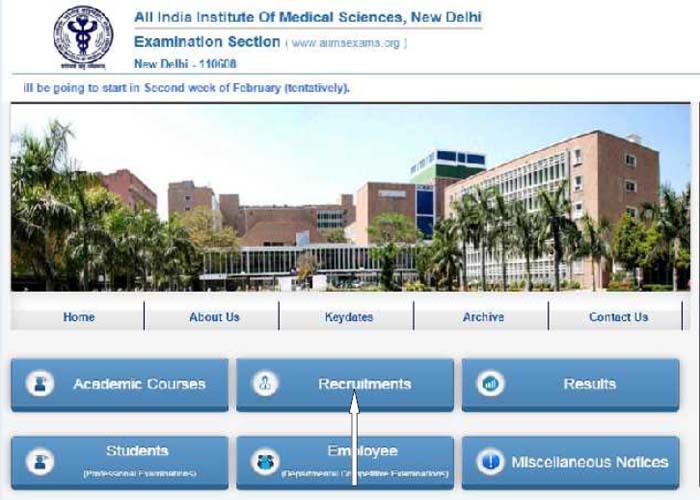 The On-line registration of applications shall be available on AIIMS officially website https://www.aiimsexams.org. AIIMS No documents including the registration Slip of on line application form isrequired to be sent to AIIMS, New Delhi. However, all the applicants are advised to keep a copy of registration slip with them, along with proof of payment for their record. B.Sc (Post Certificate)/Post-Basic B.Sc Nursing from an Indian Nursing Council recognized Institute or University. 2 year experience in a minimum 50 bedded Hospital after acquiring the educational. Age relaxation will not be provided to SC/ST/OBC category candidates who are considered for Unreserved post on merit. The candidates can pay the application fee through Debit Card/Credit Card/Net Banking. Application fees once remitted Shall not be refunded under any circumstances. 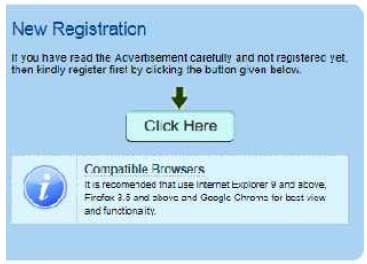 After Login, the next page appears will show the all steps of registration. The color of the number of the step in Navigation Bar will change from Red to Yellow as the steps get completed and applicant can go to any steps among the completed steps at any time. 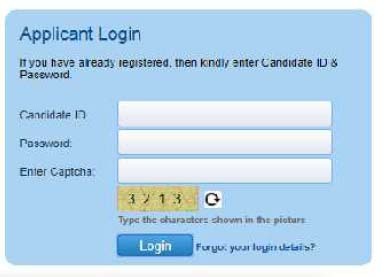 Candidate should re check the filled information in case there is some error in the information filled in form. applicant can edit some information by clicking on Edit button. Last step is print registration form. Registration Form contains all the details provided by the candidates.